Located just barely south of the equator on the west coast of Ecuador, the Galapagos Islands are a year-round hot spot for SCUBA Diving. The warm, crystal clear waters make it a perfect diving location to see an array of wildlife unlike anywhere else in the world. 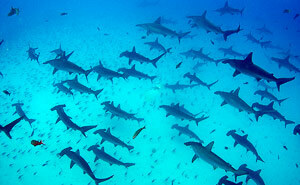 The Galapagos is home to three different species of hammerhead sharks, marine iguanas, penguins and a staggering number of other must-see marine animals. If you’re there during the right season, there’s a good chance you’ll even encounter manta rays and whale sharks. Some of the most popular dive spots on the island are El Arco and El Arenal. gets left off of bucket lists, simply due to the fact that it’s not as well known and it’s not a dive for the faint of heart. The sardine run occurs annually from May-July when billions of sardines make their migration from the Eastern Cape to the Western Cape of South Africa, following the cold waters of the Agulhas Current. This huge number of fish rings dinner bells for a variety of species in the area – and creates one of the most incredible natural spectacles on earth. Sharks, dolphins and whales of varying species can be found feeding on the massive bait balls of sardines. 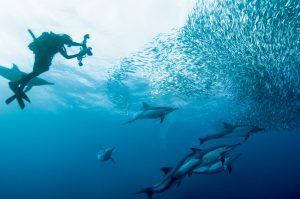 Since this is such a fast-paced dive (often requiring divers to get in and out of the boat every few minutes in order to follow the action as it moves up and down the shore), many partake in this adventure without the burden of SCUBA equipment and choose to treat it as a free-diving experience. The best part about the sardine run is that there is no shortage of action – jump off the boat and you’re almost guaranteed to have hundreds of marine animals whizzing past. Whether you’re SCUBA certified or not, this is a dive that definitely shouldn’t be missed. 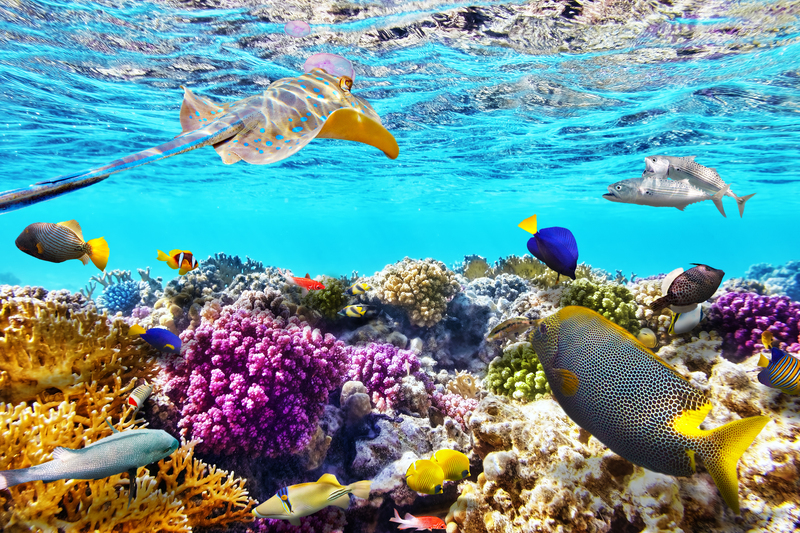 With many parts of the Great Barrier Reef being pronounced dead, it’s impossible to make this bucket list and not include the GBR. Time may be ticking on how much time we have left to explore this Natural Wonder of the World, but there are some pretty amazing dive spots, like Ribbon Reefs, that are still thriving. This particular section of the Great Barrier Reef is located almost straight east of Cooktown and has a number of awesome sites that cater to a wide range of diving abilities and interests. Everything from nudibranchs and sea stars to schooling fish and beautiful expanses of corals can be found here. And of course, the visibility and warm waters are simply unmatched. Whether you’re a beginner or advanced diver, come join us at SCUBA Camp this summer to further your SCUBA knowledge and experience and start checking off some of your own Bucket List Dives!